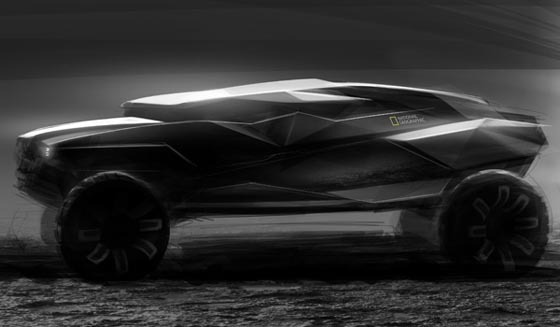 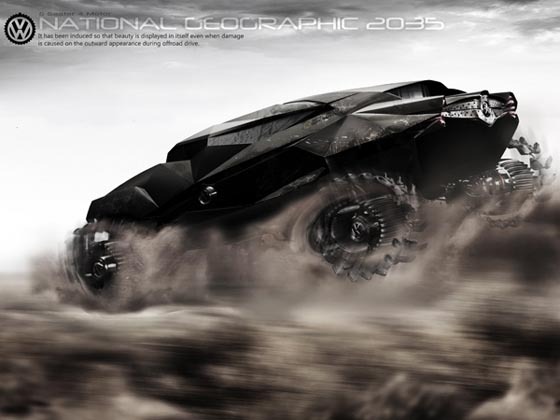 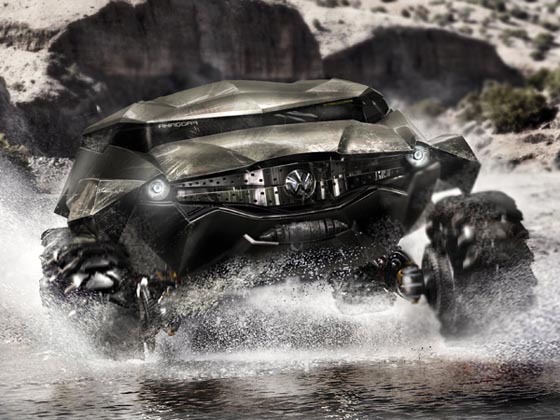 This isn’t Batman out on safari, this is 2035 ZAIRE All-terrain Concept Car, designed for National Geographic’s photography team. 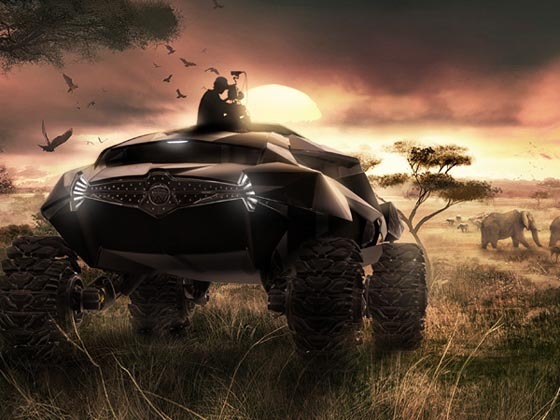 It has all the innovations incorporated to ensure that the 5-member team has a steady ground transportation system that tackles the African terrain. 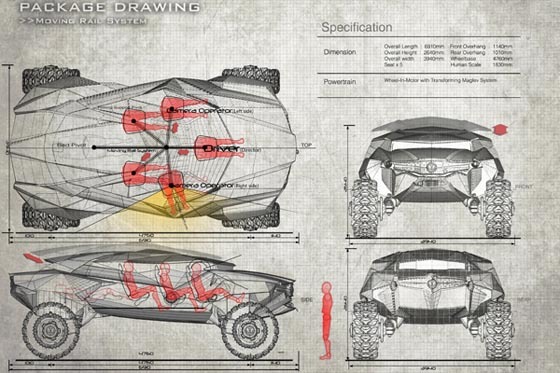 The vehicle runs on a magnetic wheel system that’s basically a metal tank tread on each separate wheel. 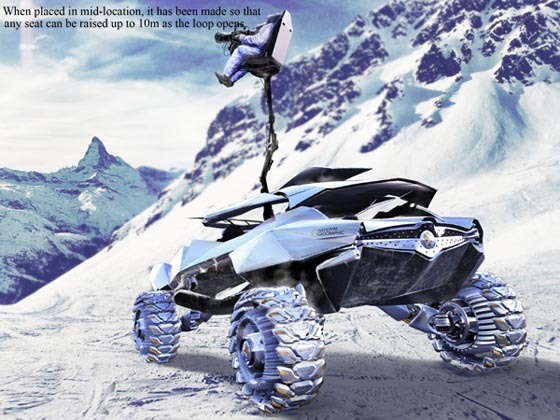 When placed in mid-location, the ZAIRE can inject any seat and raise it up to 10m to scan or shoot the area.